WWW.SURFAUTOGROUP.COM.....SALE PENDING !!!. CUSTOM BUILT IN HOUSE BY SURF AUTO over $7,000 in recent service and customization !!! RUST FREE !! Attached repair order in photo's SURF AUTO Brokers "Where Quality Meets Value" 1800 Main St Lake Como (Belmar) NJ 07719 ...call for more details !!!! Call STOSH at 732-681-2273 with any questions. NOT INTENDED FOR OFF ROAD USED. VEHICLE FOR USED ON LEGAL ROAD ONLY ! SURF AUTO BROKERS,LLC DOES NOT RECOMMEND THIS VEHICLE BE USED FOR OFF ROAD USE. 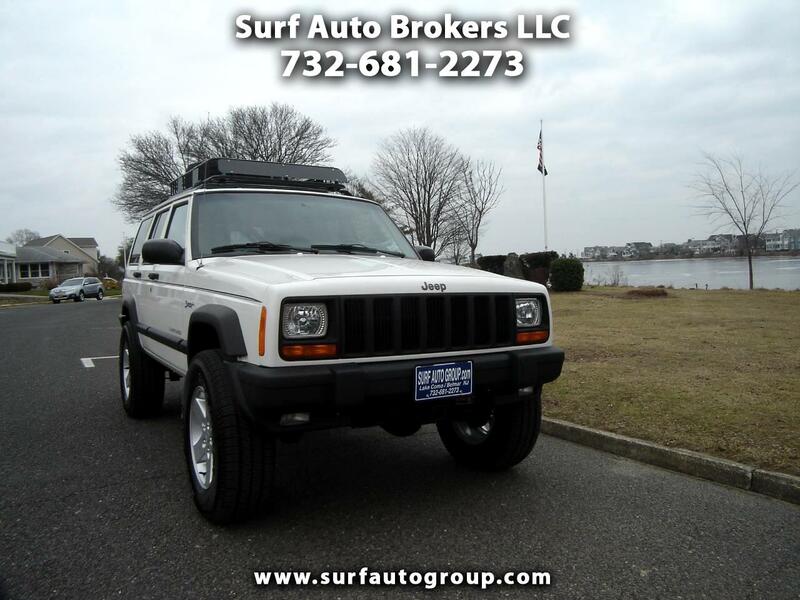 VEHICLE IS OFFERED FOR APPEARANCE, "LOOK", AESTHETICS SURF AUTO BROKERS,LLC ASSUMES NO LEGAL LIABILITY FOR OFF ROAD USE. Message: Thought you might be interested in this 1998 Jeep Cherokee. NOT INTENDED FOR OFF ROAD USED. VEHICLE FOR USED ON LEGAL ROAD ONLY ! SURF AUTO BROKERS,LLC DOES NOT RECOMMEND THIS VEHICLE BE USED FOR OFF ROAD USE. VEHICLE IS OFFERED FOR APPEARANCE, "LOOK", AESTHETICS . SURF AUTO BROKERS,LLC ASSUMES NO LEGAL LIABILITY FOR OFF ROAD USE.